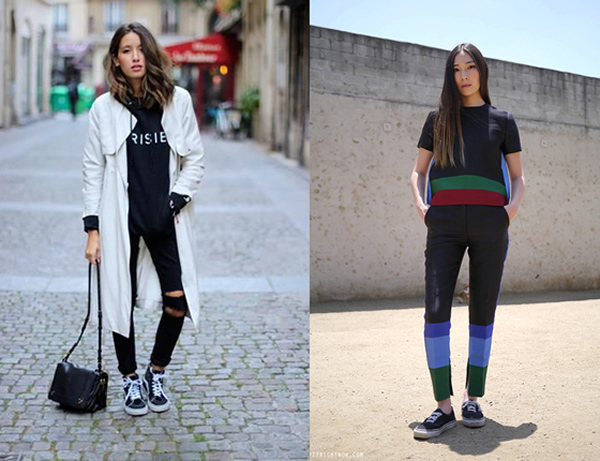 The skater shoes from the 70s are the new must have item you can’t miss. 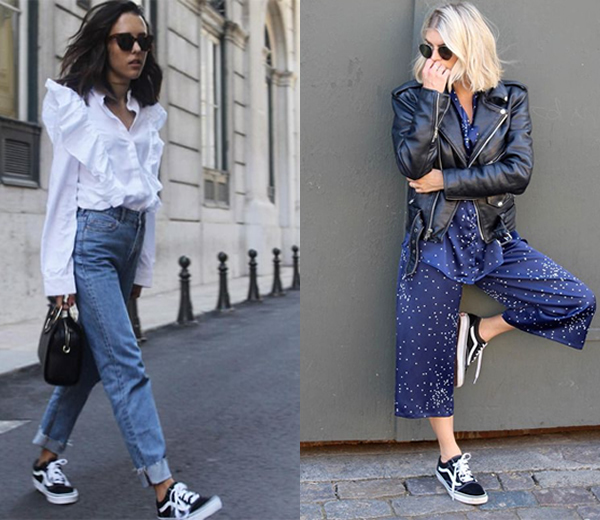 Everyone is having them on their feet, celebrities and bloggers are obsessed with the Vans old Skool model, and if you think you don’t like it or it’s not your style you might change your mind after looking at these pictures. I’m one of those people, I thought it wouldn’t be for me but, oh well, how many times does this happens, I should have learned already! 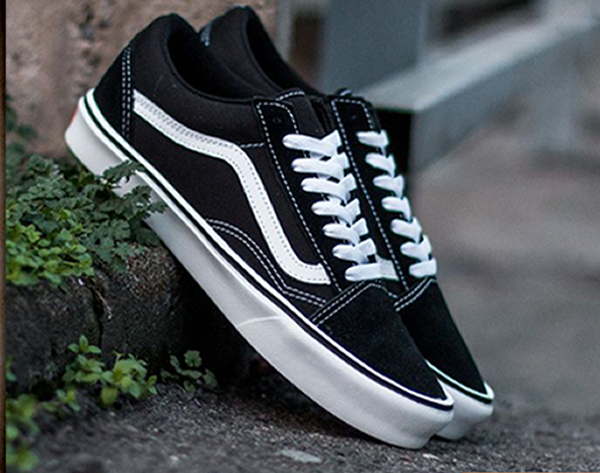 So yeah I already have my black pair, the color that is more popular, at least for now! Os ténis dos skater dos anos 70 são a nova tendência que não podes perder. 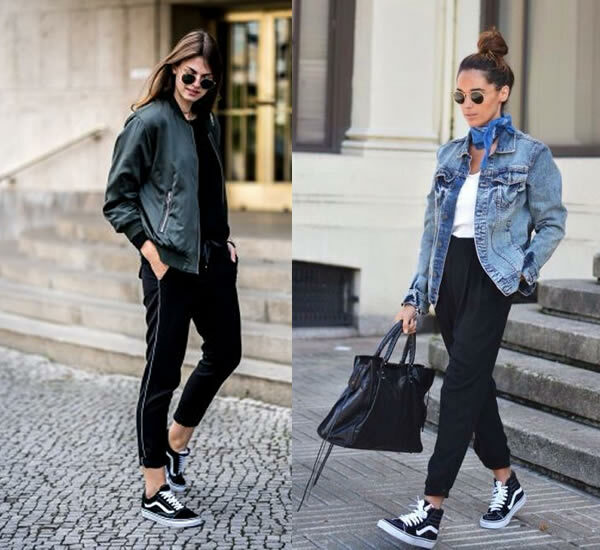 Toda a gente anda com eles nos pés, celebridades e bloggers andam obcecadas pelos Vans Old Skool e se por acaso pensas que não são de todo o teu estilo provavelmente vais mudar de ideias depois de veres estas imagens. Eu sou uma dessas pessoas, pensava que não iria gostar de os ver calçados, e ora bem, quantas vezes é que isto já me aconteceu? Já devia ter aprendido! 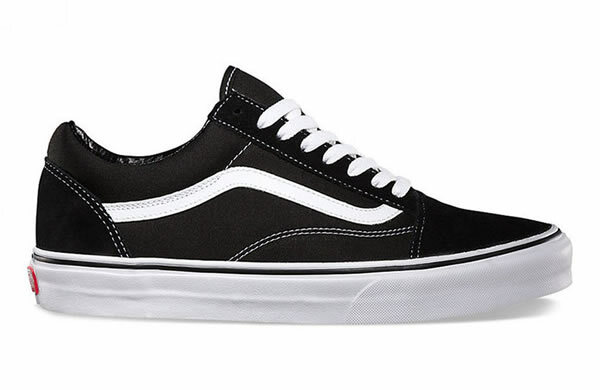 Por isso sim já tenho o meu par Vans, em preto, a cor que pelo menos para já é a mais popular. Não é meu estilo preferido, mas gostei do tênis! So love this style. I always rocked vans when I was in college and I'm excited to see they're coming back. 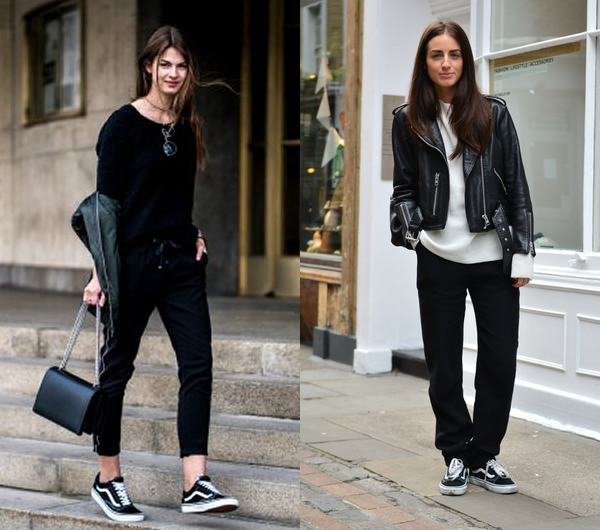 I'm definitely a high tops girl, but I'd take either one! So many people wearing them and looking great. But I don't think they are for me though. I may stick to my converses! Adoro estes ténis! Já os estou a namorar há que tempos! 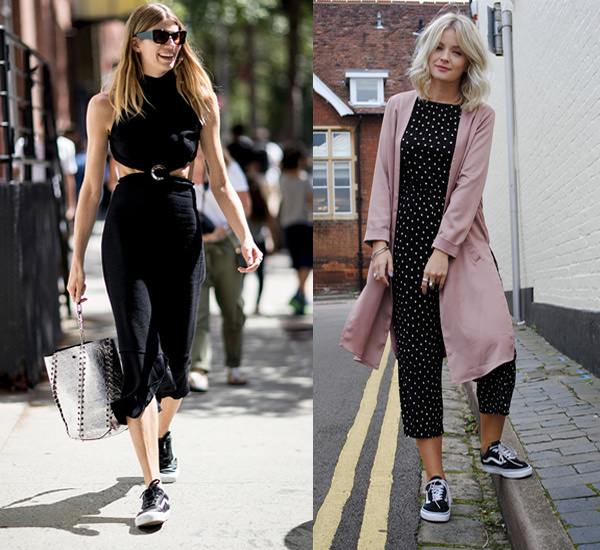 I really believe in the power of those shoes and therefore I own them already :) Thanks for the wonderful inspirations! tenho um par de vans azul mas quero uns pretos.